Are you ready for another week of wonderment? We at HORROR – Scope Central hope so. We’ve slaved over the charts this week, but we just couldn’t get the horror out. Aries… Pluto is in hyperplectic mode now. That will only bring you trouble. In the future, your enemies are going to to weave you into a statue of Dennis Weaver. You will be cold and lonely, like Dennis Miller. Taurus… Uranus is in dual-distention at the moment. That surely portends trouble for you. In the future, you will be absent due to an abscess. It will be quite painful. A dentist will charge you a fortune to fix it. Gemini… Mercury is in a lower dimodal phase now. That’s never good for a Gemini. In the future, you will drown your sorrows in alcohol then regret that you drowned them in the first place, but it will be too late to resuscitate them. Cancer… The Moon is approaching peri-hedonal mode now. That’s never a good sign for a Cancer. In the future, you will witness an accident. Your hard drive will crash causing mass casualties. Leo… The Sun is in dual-perplectic mode at this time. That’s always bad for a Leo. In the future, a palmist or a pianist will read your palm. If it’s a pianist, he will take note of it and say that it is quite scaly. The palmist, on the other hand, will hand you a line you will not like. Virgo… Venus is in low orbital conflict at this time. That’s never a good sign for a Virgo. In the future, someone will read your mind and only highlight the bad parts. Libra… The Earth is in post-positional hyperplexion mode now. That will only bring you trouble. In the future, you will be under the influence of drugs or bugs. It could go either way, but it will be uncomfortable and itchy. Scorpio… In the future, your enemies will try to do a makeover of your brain. They will not succeed, however they will not clean up after themselves and your brain will be a mess. 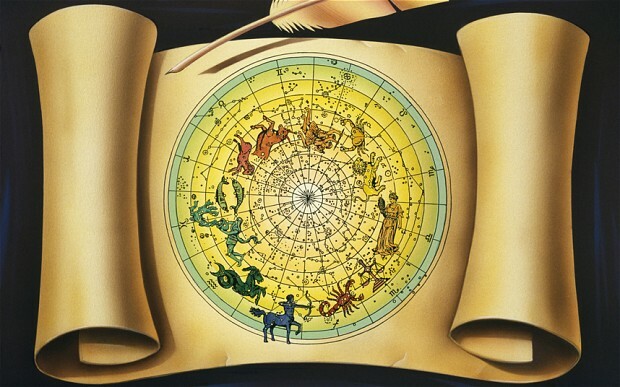 Sagittarius… Mercury is in discordance at this time. That’s never a good sign for a Sagittarius. In the future, you’re enemies will put you in suspension or in another dimension. It will not be a pleasant experience. It will last for years. Capricorn… Mars is in opposition to Capricorn now and is hypertensive. That portends trouble for you. In the future, you will succumb to your desire to wear all of your clothes backwards. We’d like to see a photo of that. Aquarius… Saturn is on the cusp of Aquarius and in opposition to it. That’s not good for you. In the future, you will become entangled in a webcam of deceit. It will not work out well for you. Pisces… Neptune is in tri-modal position now and in opposition to Pisces. That’s not a good sign. In the future, you will find spiders hiding in your webcam. An exterminator will not be able to remove them. It will keep you awake at night.